SARASOTA - Legislation is set to be heard by a Senate committee next week that would require older high rise condominiums in Florida to have sprinkler systems by January 2023. The measure says the multi-family buildings, mostly built in the 1960s and 80s, need to have sprinkler systems in each condo unit, or at to at least have them in common areas along with fire extinguishers and smoke control systems. 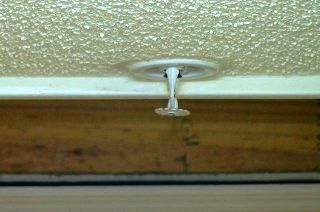 All condos built since the 1990s are already required to have fire control systems, but buildings built prior to that time have continually been given time extensions to put in the sprinklers. Pushback to the measure has been filed in the legislature for several years, comes from many condo associations and homeowners who balk at the price tag of in the sprinkler systems. This could cost thousands of dollars per unit. Under current law, condominiums are supposed to meet the sprinkler requirements by January 2020. But a shortage of contractors could make that deadline difficult to meet. The measure has yet to be scheduled for a hearing in the Florida House of Representatives.